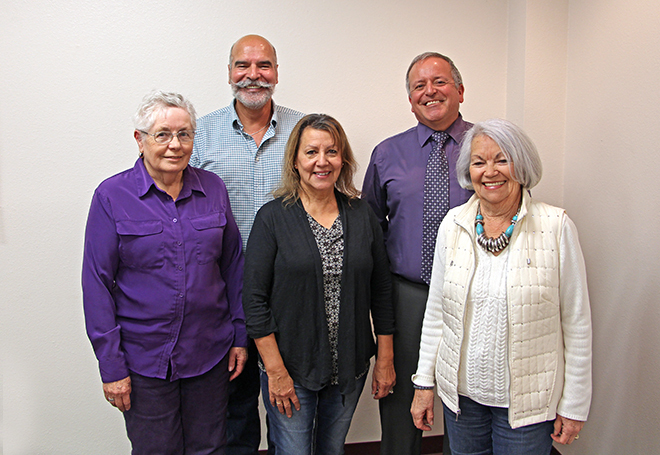 The UNM-Valencia Campus Advisory Board is an elected body of five representatives, who are residents of Valencia or Northern Socorro counties. Responsibilities of the Board include approving the campus annual budget and calls elections for local tax levies and capital outlay general obligation bonds. Each member is elected to terms of four years. Terms of office are staggered, and elections for alternately two or three year positions are held every two years. For more information, please call 925.8540. Regular meetings are held on the first Tuesday of February, May, August and November at 5 p.m., in the main Conference Room of the Administration Building at the campus in Tomé. Special meetings may also be announced. A proposed agenda is available the week before each meeting from the office of the Chief Executive Officer.